Any problems stringing the Helix 17? In a rush to get the thing strung and weighted properly to my preferences, I actually had some guys down at the local shop string the racquet for me. Though I will tell you from my experience in stringing my own racquets and when I ran a mini-stringing business, it was one of the more slippery and somewhat stiff strings to the touch. To my mind, and limited knowledge as a stringer; the fact that it is a co-poly monofilament makes the string already more durable and able to take higher stringing tensions without worry of premature snapping. When I got the racquet back the strings felt strong but only a hint loose, a sign of a good string job, the tension had been preserved, the bed didn’t deform, and the strings were still free of dents. For good measure and thoughts to the at home stringer I performed my classic temperature test. This is where after I string a racquet I expose it to a variety of conditions and then check tension to see how well the strings hold up in the period after stringing when poor quality stringing and strings can slack up considerably. I placed my trusty 6.0 in my car in the blazing internal heat during midday to let it get a bit hot. When I came back to check the racquet one day later, it was still on par. I then placed the 6.0 in the freezer right next to a delicious IPA I had been saving up for a while, and while I let the strings freeze, I took extra enjoyment to relax on my back patio and enjoy a nice beer. By that evening I was ready to go hit with the strings and to my surprise, they were still on par. Maybe I need to expose them to these conditions longer or with a different head size racquet, but so far, Helix 17 gauge is doing my racquet justice. What kind of power were you able to get from the Kirschbaum Helix? One of the most important aspects of playing with a very heavy racquet is the fact that you will generally have more stability, control, and power in your shots. Your shots will probably also be more heavy, but that’s a different story. In my past I needed high tensions to keep the ball in play with extra spin and reduction of power. But now, I find I can control, spin, and power the ball into the opponent’s court. So what did setting my strings to 65lbs do for me? It certainly made me appreciate how much power these strings can generate when I nailed the even tinier sweet spot than what the 6.0 already begins with (and if you have never hit with a 6.0 85, you’re missing out on your very own personalized racquet technology appreciation day). 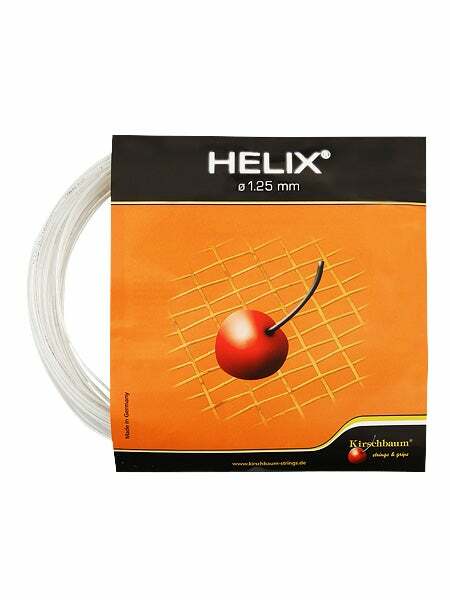 Helix 17g gives a more approachable power for being a stiffer string. It’s got playability which is, to my mind, more important. But, it also has that nice pocketing for on-center shots that will help you keep the ball high and deep in the back court. I’d say these strings were probably the fastest, hardest hitting strings I’ve used in a long time. Just look at this casual forehand on the run! Were you able to control the ball better, worse, or the same as other strings? The funny part about getting older is, your game starts to become more reasonable. You take fewer risks and prefer to have more control in your shots (yes I did just generalize old people). 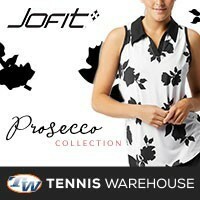 I’m 24 and that’s pretty old for highly competitive tennis, but at 65lbs (or dare I even say 70lbs?) the Helix string starts to break down and loses the control that you gain from already playing with a very control oriented racquet. The 6.0 85 make no mistake, was designed for one purpose and one purpose only; Hit a big serve, and then a volley. Rallying with the 6.0 is tough but definitely manageable. The difference is, you already have a ton on control on the racquet, and guys today are using their spin creation to control shots and let their racquet do some power work for them. So, I’d say that at 65lbs, you are probably losing out on the upsides of the string. A 17 gauge is more playable and has good touch and should be inherently strung a bit lower and let a control frame do that job for you. There are some downsides that should be considered carefully with poly like these, as string and ball conditions degrade over time; your game is guaranteed to suffer. Stiff strings like these are best suited to very pristine and reproducible conditions, so that means hitting with consistent players to help you grove the ball into play, as well as consistent ball pressure, to get the most out of your shot. I found as I played different people around the local courts, that these strings are designed with the idea of consistency in mind. In fact, if you aren’t a very consistent player, you are probably better off playing with a more forgiving string than these, because off center hits are as unforgiving as a nun’s ruler in Sunday school. Either your technique is there or you are going to have a bad time. Everyone has fluctuations in their game, but if you aren’t careful with these strings at the kind of weight my racquet is loaded to, with these kinds of tensions, well, it’s a recipe for tennis elbow like now other (which I’ve learned now firsthand how sometimes, you can actually make your racquet too difficult to play with!). 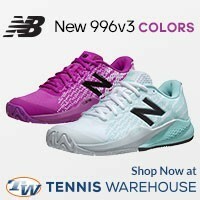 In that light, I’d probably string these hush-puppies down as low as 40 on mid-size, 50 on mid-plus and maybe 55 on oversize frames (though there is a fine line these days between what a mid-plus and an oversize is courtesy of Babolat “pure everything and let’s make a cannon” ideology. And yes, I did just criticize Babolat for making overpowered tennis racquets). The logic of my recommended lower tension stringing is to save you, the players arm. But also, to add power back into your game because these strings hold their tension very well which gives you more all round consistency in the day to day game. What are some of the spin capabilities of the Helix string? Easy to spin? Non-Existent spin? Notice the lack of bend in my knees (how horrible!) but also notice the arc of the tennis ball coming off my racquet. I’m hitting a rather flat shot but I’m still generating a considerable amount of spin to be able to keep the ball in play without bending my knees or moving forward into the shot (I’ll admit, I do enjoy leaning back sometimes to shortcut getting a steep swing angle on a shot even if it isn’t a good way to hit the ball). It’s not something you’d think of outright, but as you play more, the Helix17 can lure you into a false sense of security on getting spin on your shot. (Disclosure: I play with a 16 point headlight racquet, this affects some mechanics) You still have to generate spin yourself, but as you get your racquet head going faster and faster, don’t have to worry as much about ultra strange grips, funny techniques or even those ridiculous brush up and around the head forehands (the so-called : Fonz shot). How long before you noticed a drop in tension? Two weeks, though when it did drop, it made my game difficult to adjust outright. I think that the easier the drop in tension, the easier you can correct for these changes (if you are on a budget and string only once in a blue moon). 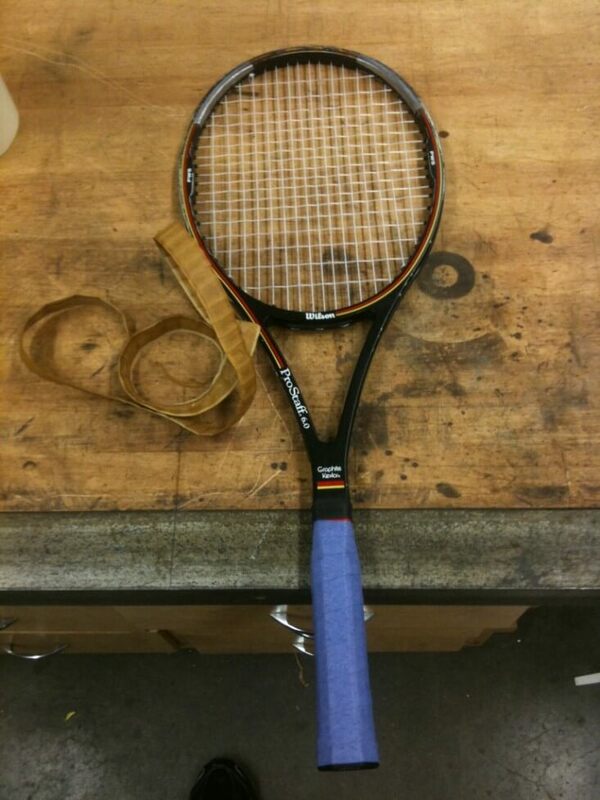 For a more serious player, the drip in tension probably is helpful in telling you its time to restring. Since I can play 8-10 hours of tennis in a day without much of a break, I’d say under normal conditions most people would probably get a month or two of playability before tension drops get annoying (though you can probably knock off a few weeks as your racquet head size increases from mid to oversize, so keep that in mind). If you are not restringing once a month anyways, you’re probably hurting your consistency game in the long run anyways, and these strings are cheap enough to put in once a month or once every other month so annually you’d probably go through about a hundred and fifty dollars of stringing (labor + product). Was the Kirschbaum Helix comfortable on the arm? Here again is why I urge players and lovers of this string to consider lower tensions. It’s a co-poly, and it’s a monofilament. It already tells you the string bed is going to be stiff! 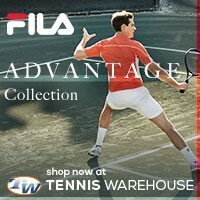 With a 15.5 oz highly control oriented low power racquet like the 6.0 and then you add high tension strings? Well… Now that’s asking for tennis elbow!!! Off center hits punished me the most. Be careful out there, remember there are lots of trade-offs you are going to come face to face with when playing with a ploy string. You do get durability, spin, and tension retention all of which are great for hard hitters in long matches; but you have to be realistic, is that you? Do you hit 100mph serves and 70mph forehand winners? If not, then why do you need such a durable/consistent string? If you are playing with a stiff or heavy racquet, bring the tension down to save the arm. This string is definitely not “arm-friendly”. If your footwork is a bit sloppy you might end up having to dig for balls and that can be where you end up having to “lift” and “force” the ball back over the net into the back court on your opponents side. That’s a situation you always want to avoid, as it puts a lot of stress on the arm joints, your back, and knees. Final thoughts on the Helix 17? 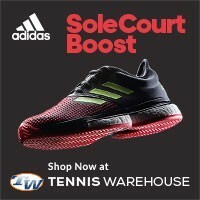 While although I do love me some controlled tennis, these strings are probably good for entry level players to get accustomed with the idea of consistency in their gear (an intermediate player looking to start learning to control his or her shots and develop points). On a different racquet, or perhaps at a lower tension I’d recommend this string higher, but for now, it’ll get the job done (and has in quite a few doubles matches). It’s definitely worth a try to learn the benefits of performing hybrid tension and string type stringing. Once you’ve played with Helix, and a synthetic gut, you’ll realize there is potential for some nice poly/syn-gut hybrid stringing with a 1 to 2 lb difference between mains and crosses.